We love to promote the beauty of our home state, Idaho! Our state has it all: gorgeous mountains, winding cool rivers, and adventure at every turn! Visitors come from all over the globe to partake of the sacrament of splendor and majesty that Idaho has to offer. All four seasons offer amazing outdoor activities. Idaho is truly that special of a place. One of our favorite activities as a couple here is whitewater rafting. It is a wonderful way to see wildlife, practice a little teamwork, and have a grand adventure! We are excited to share with you this rare opportunity from Middle Fork Rapid Transit that could actually save you up almost $2,000 on the trip of a lifetime! The Middle Fork Rapid Transit offers six day river rafting trips on the most magnificent river in Idaho, the Middle Fork of the Salmon… and right now, they are offering a very rare Buy One Get One FREE sale, where you can get a two person package, for the price that they would normally charge for ONE person. Head on over to their website here to read more about this awesome deal. *Because this is a “space is limited” adventure, this deal will only be available to 5 people, sign up quick if you are interested! 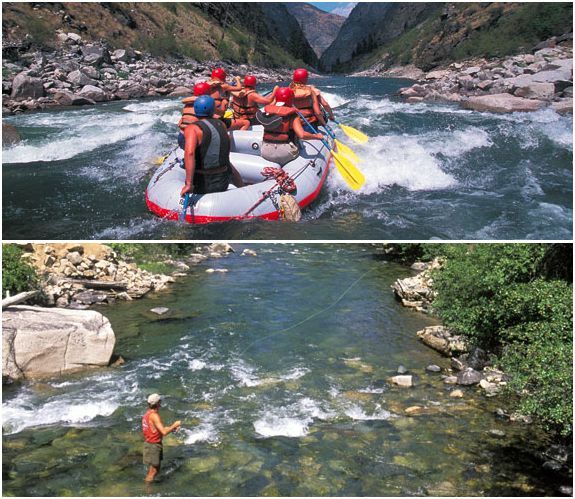 About: Welcome to Idaho’s Middle Fork of the Salmon River. 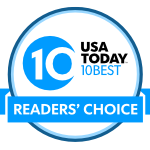 Did you know that Idaho’s whitewater rafting is some of the best in the world! And Middle Fork Rapid Transit offers whitewater rafting trips on the most magnificent of them all: Idaho’s Middle Fork of the Salmon River! If you’ve found our site, you seek something. You seek an adventure, an experience that’s out of the ordinary, a vacation that you’ll enjoy and relive for years. You’re looking in exactly the right place. Idaho’s Middle Fork of the Salmon River is one of the premier whitewater rivers in the world. On this hidden treasure, you’ll feel the thrill of running some of the most exciting rapids in some of the most spectacular country in America, and you’ll have the time of your life doing it. If you are interested in outdoor adventure, then I highly recommend liking the Middle Fork Rapid Transit River Trips Facebook page. This way, you can keep up to date on the latest photos and adventures that take place along the Middle Fork of the Salmon, honestly…one of the most beautiful places on earth! Looks like a lot of fun! Would love to do some adventure activities around the US (still on the list to visit! ).